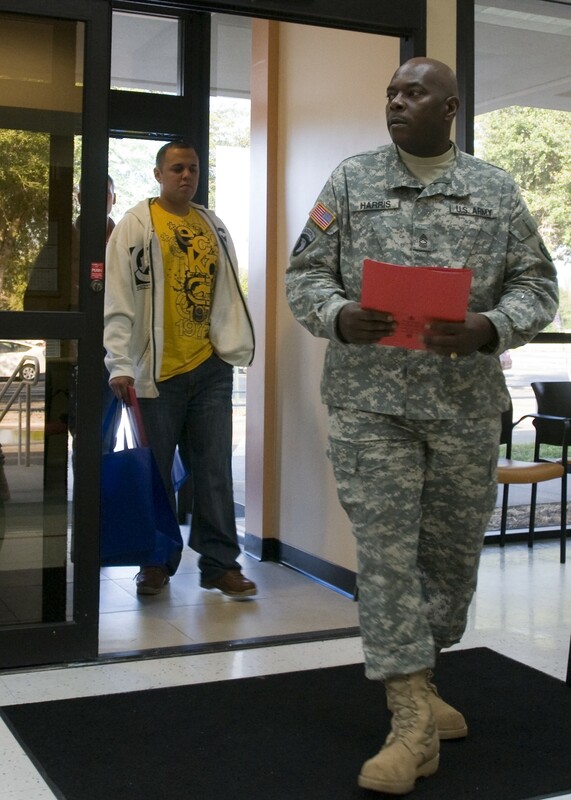 ORLANDO, Fla. -- As the room quickly filled with more than 110 Individual Ready Reserve Soldiers, a small army of non-commissioned officers went into action taking care of Soldiers. After weeks of preparation, the 81st Regional Support Command's Soldiers Readiness Processing team conducted the first muster for 2011 here. 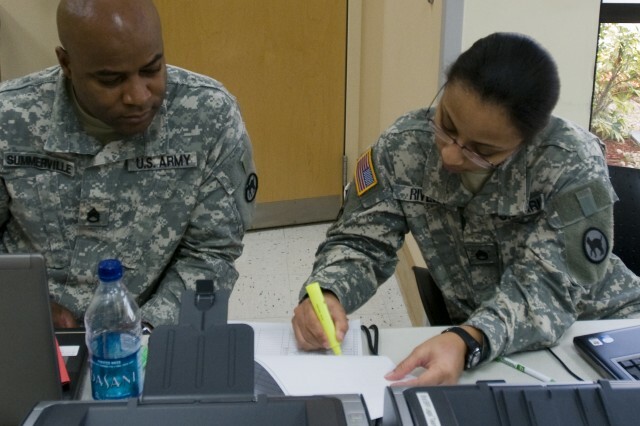 Their mission was to support the Army's Human Resources Command to update the readiness of IRR Soldiers. 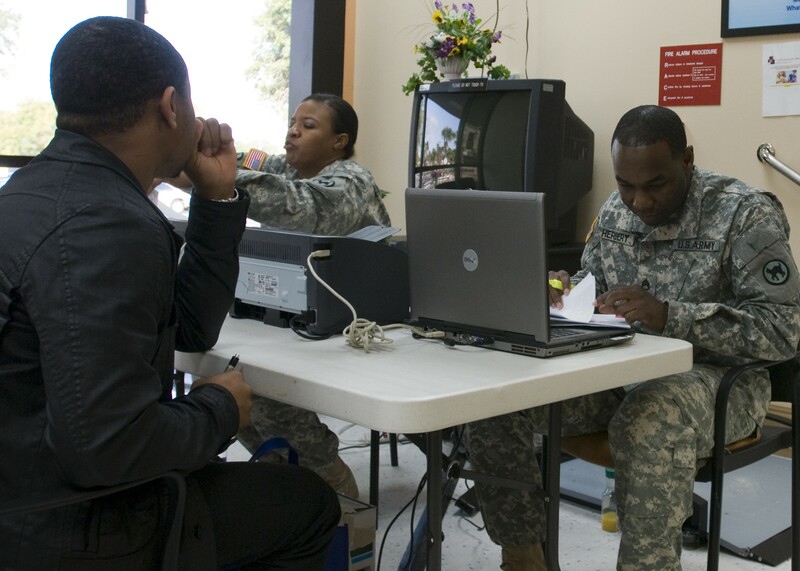 The IRR Muster is an annual event, held at various locations around the country, where Soldiers assigned to the IRR report to a central location in order to maintain accountability and update their files. While the main purpose of the IRR Muster is to maintain contact and accountability of the IRR Soldiers, it is also an opportunity for the Soldiers to review their records and wrap up any outstanding issues from their previous service. 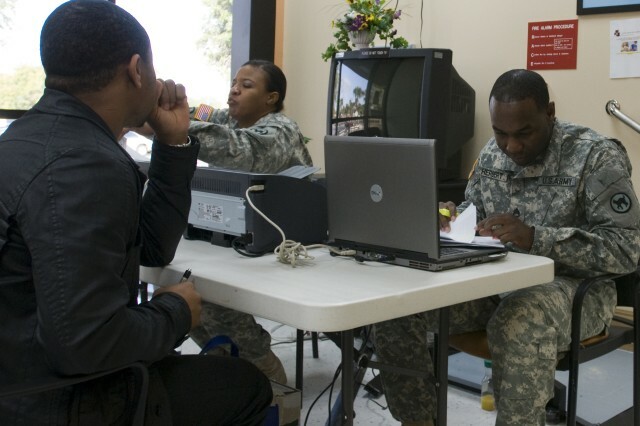 Some of the services offered were identification cards, health assessments and access to Veterans Administration services. Even though the IRR musters are an the responsibility of the HRC, the 81st SRP team is in charge of the mission and continues to be hands on throughout the whole process, said Staff Sgt. Ursula Brabham-Smith, the non-commissioned officer-in-charge of the Orlando muster. 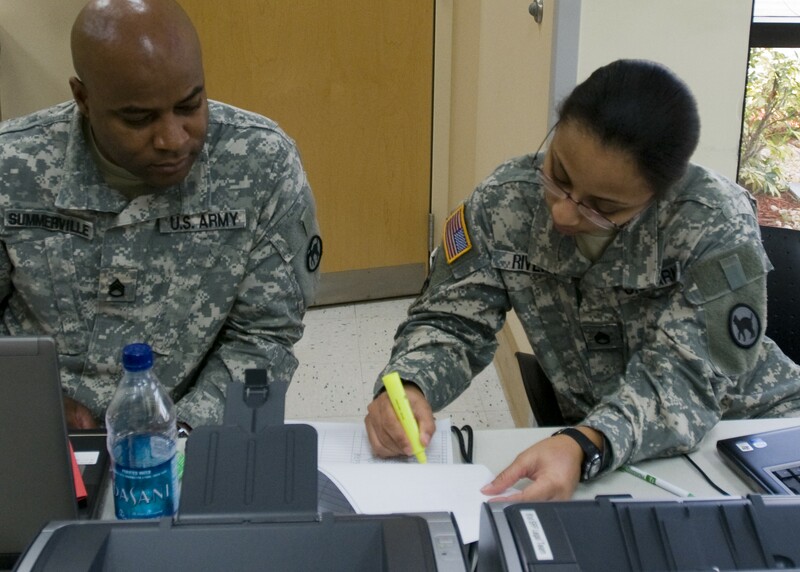 After each Soldier signed in at the first station, they were directed by members of the SRP team to report to the auditorium for a one-hour briefing. As Soldiers entered the door of the auditorium, they were quickly greeted by Master Sgt. Dartalian Harris, the NCOIC of the SRP team. Harris attempted to speak and shake the hands of each Soldier to make them feel at home. Harris said he wants to make sure that Soldiers realize that they have not been forgotten. 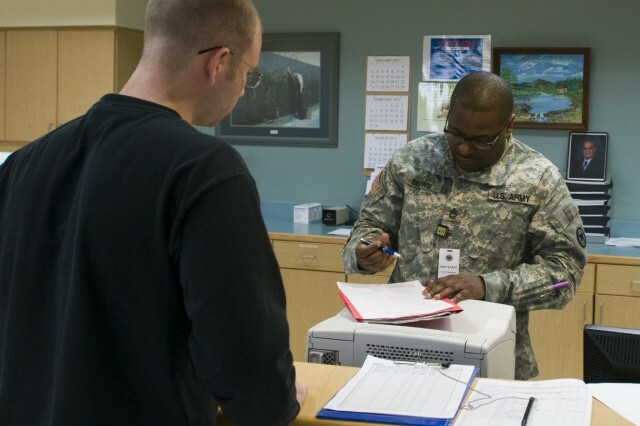 "When you have to show up to a mandatory event and you have already served your time on active duty, a Soldier starts to wonder is this a ploy and if it is, what is it about," he said. "For them to feel at home and comfortable helps to remind them how appreciative we are of the time they served." As Harris greeted Soldiers and family members, Staff Sgt. Ursula Brabham-Smith, the NCOIC of this particular mission, ensured each station was prepared and doubled checked to make sure her team was ready for the day's work. Seemingly calm and collected on the outside, this was Brabham-Smith's first mission as NCOIC for the SRP task. "The SRP team is very important to the mission because we are the ones who run the show," said Brabham-Smith. As the welcoming briefing ended, members of the "Wildcat" team took their places and prepared to process each Soldier through several readiness stations. Waiting for the first group at the door was Sgt. 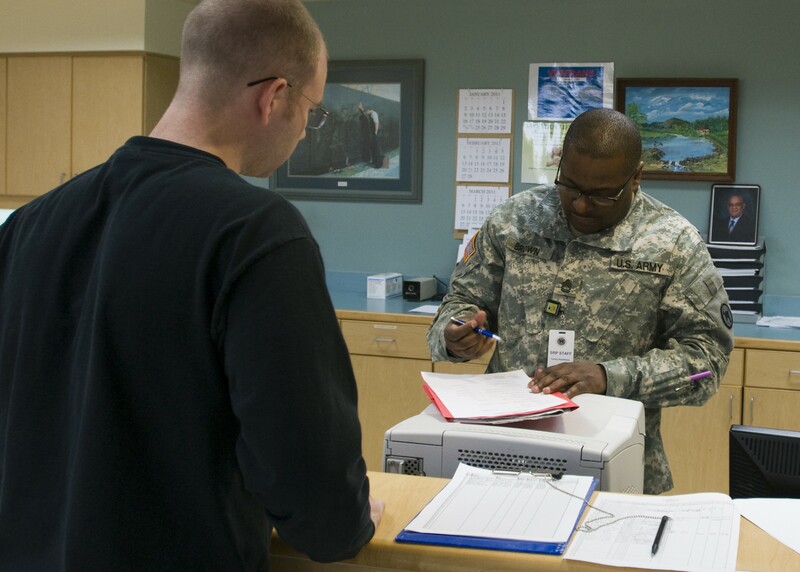 1st Class Kevin Harris, a medical NCO for the team, who escorted nearly two dozen Soldiers to their first station. Harris kept a close eye out for anyone needing help - the wait wasn't long. 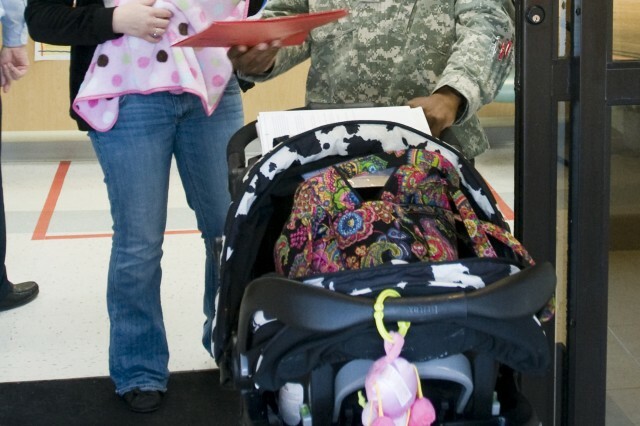 He noticed one Soldier struggling to fill out paperwork while taking care of her infant child. He quickly asked the Soldier if she needed any assistance for the day. 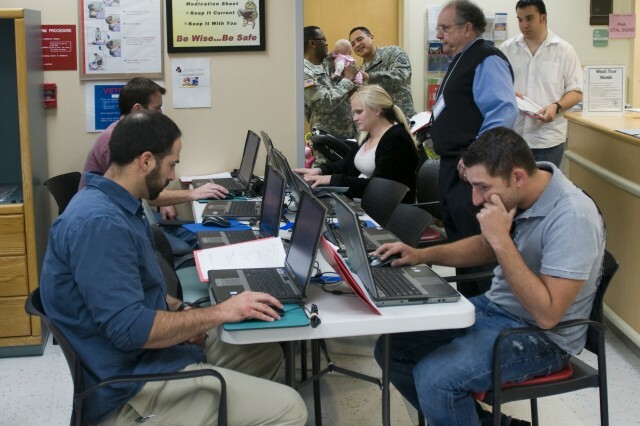 With the baby safely in Harris' arms, the Soldier was visibly relieved to be helped during the lengthy process. 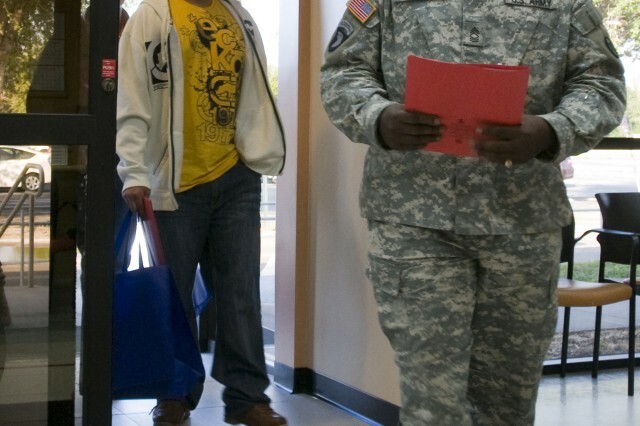 As on the battlefield, no Soldier is left alone or behind during the SRP process as staff were on the constant lookout for Soldiers appearing lost or confused. "Their dedication to the operation shows as they focus on the needs of each IRR soldier that approaches their station," said Master Sgt. Dartalian Harris. The ongoing partnership between the 81st RSC and the Human Resources Command is one of trust and commitment, said one HRC team member. 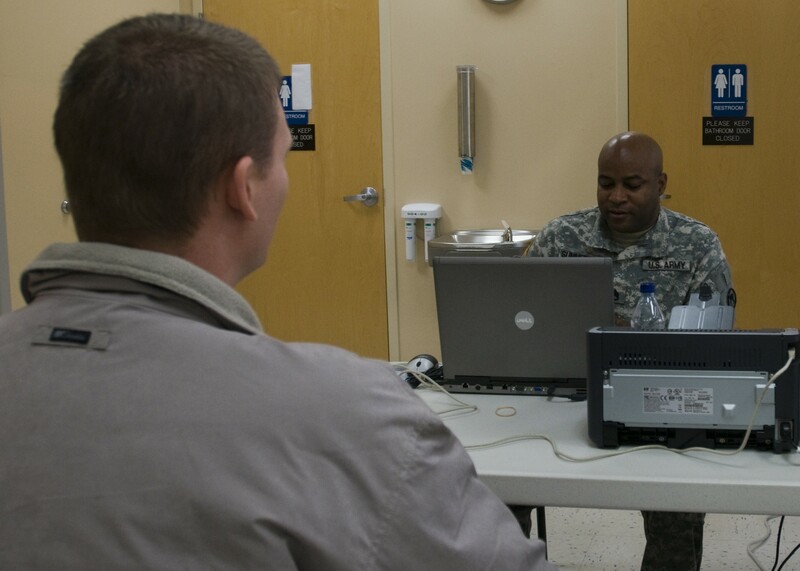 "We have a good working relationship with the 81st SRP team," said Master Sgt. Dandridge Dudley, HRC NCOIC. "Without their support we couldn't get the mission done, they are an essential strength of the process." 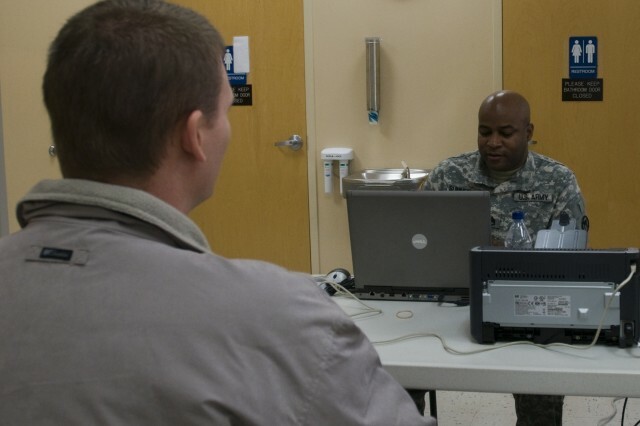 As the Reserve team packed their computers and bags and the lights were turned off in Orlando, the SRP returned to Fort Jackson ready for the next mission. "We should always be proud of the men and women that have served in our armed forces and understand that it's not for everyone," said Master Sgt. Dartalian Harris. "Remember, we are part of a small, but powerful group of men and women that have taken a sworn vow to protect and defend our country." January 10, 2019Results for the fifth annual Major General Harold J. "Harry" Greene Awards for Acquisition Writing.